Wow, am I on a drama roll lately! So I decided to check out Spy, just to see if I like it. It does have all the elements I really love such as spies, action, conspiracy, hidden agendas, which side am I really on…..but after two episodes, it hasn’t sparked for me yet. More like just simmering coals right now. The drama itself is slickly filmed and the plot does sound interesting for sure. However, I’m not sure what it is, but I don’t have a eager passion for it yet. While Bae Jang Ok who plays Hye Rim, the mother, is perfect in her role as a ex-spy, I am less convinced by Sun Woo, played by Jaejoong. Although I have watched other projects by Jaejoong, I am not sure if he has improved from them. This is not to say his acting is bad per say, but I am sure not fangirling over it either. It’s just a bit bland for me at the moment, which I hope will improve soon! Finally, Yo Oh Seung, playing N. Korean handler, is very skillful in delivering a villain we like to hate! 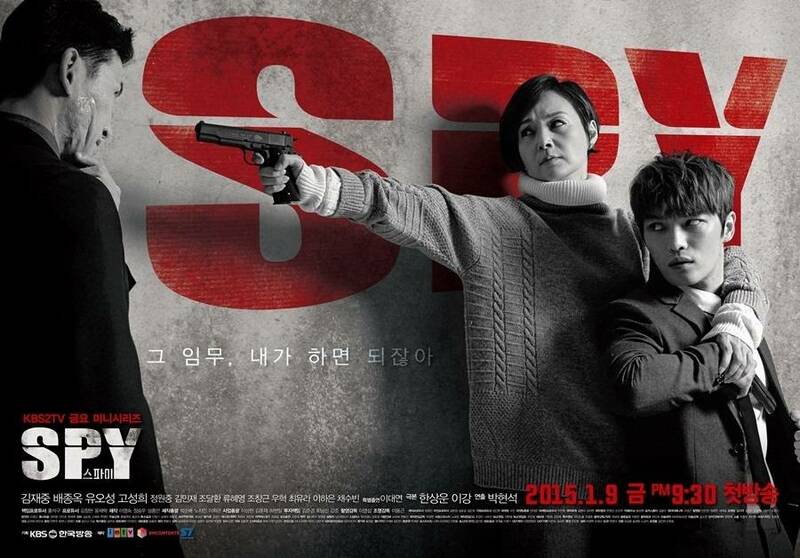 Anyways, the story follows Kim Sun Woo, talented field agent with the S. Korean National Intelligence Service who has been assigned the job of monitoring N. Korean spies in S. Korea. Due to the nature of his job, he does not tell his family what he really does for a living. The drama opens with a botched mission where Sun Woo was injured and his partner killed. However, the enemy mysteriously lets him go. Little does he know, his mother used to be a N. Korean spy who escaped that life to create her own happiness in S. Korea. We also have the suspicion that Lee Yoon Jin may have ties to N. Korea due to her mysteriousness and deft reflexes that mirror Sun Woo’s mother’s similar skills. A S. Korean agent caught between two possible sleeper N. Korean spies? That is chaos and heartbreak just waiting to happen on all sides. Hye Rim, Sun Woo’s mother, had her perfect bubble of a life popped when Gi Chul, her previous N. Korean handler dropped in to force her to complete a job. He is distinguished not only by his acid scars on his cheek and left hand, but also by his cruelty. Unfortunately, Gi Chul forces Hye Rim to deliver a package to a subway that was actually a bomb that exploded. Gi Chul also was the one who had injured Sun Woo in the beginning and now wants Hye Rim to trade her son over for his silence and distance. Hye Rim is of course shocked to find out that her son was not living the ordinary life that she had wanted him too, but is living a life similar to what she had been through. But now completely on opposite sides…..